Development of high head models. CFD analysis of large pumps. 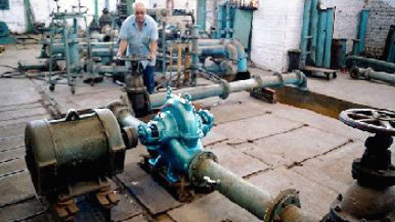 Jyoti can independently test large size pumps with Inhouse power arrangement and does not need to depend upon Grid power supply for testing of pumps. 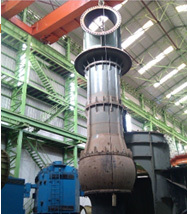 Jyoti has internal Diesel Generators for testing pumps upto 6 MW ratings. 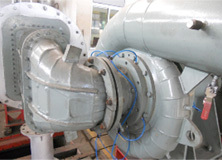 Magnetic flow meters of 100mm, 200mm and 300mm and 400mm diameter. Head can be measured up to 200 MWC. Pressure measurement with pressure transmitter having range from 0 to 30 Bar and -1 to 2 Bar. Power analyzer for on line measurement of KW, PF, V, A available. Up to 93 KW, 415 V.